Manchester United made it four home games without a win with a lacklustre 0-0 draw with Valencia in the Champions League that keeps the spotlight on Jose Mourinho. The United boss will have been looking for a response from his players after back-to-back defeats against Derby and West Ham but they rarely threatened and did not significantly test visiting goalkeeper Neto until the closing stages. Marcus Rashford provided their only spark and clipped the crossbar with a free-kick but it was a similar tale of a lack of intensity in forward areas for United as the Spanish side - who are 14th in La Liga - controlled large parts of the game. United are now without a win at Old Trafford in all competitions since the opening day of the season against Leicester. The United squad were caught in heavy traffic around Old Trafford pre-match, which led to kick-off being delayed by five minutes. It seemed to affect their intensity as they struggled to put Valencia under any pressure, apart from a couple of searing runs from Rashford. The visitors looked threatening down the left but despite creating some positive openings, the final ball provided by Goncalo Guedes was lacking in quality as David de Gea was not severely tested. 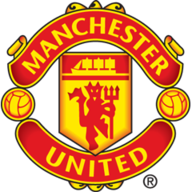 Jose Mourinho made four changes from the defeat at West Ham with Marcus Rashford Eric Bailly, Antonio Valencia and Alexis Sanchez returning as United played a 4-3-3. It took United 71 minutes to work the opposition goalkeeper when Romelu Lukaku sent a left-footed effort that was pushed away by Neto. That chance triggered a mini-wave of pressure in the latter stages. Anthony Martial won a free-kick down the left edge of the box and Rashford hit a swerving effort that looped over Neto but clipped the bar. A winning goal never really looked like coming though. United have now won just two of their last 14 matches against Spanish clubs and although they remain in a strong position to qualify from Group H, the same short-term problems with Mourinho's style remain. The England international looked fresh after his spell on the sidelines through suspension. He was United's most potent weapon off the left wing with his direct running which at times sparked a rather bored home faithful into some sort of excitement. His effort in the closing stages that clipped the crossbar was a brilliant attempt that would have given him the goal his performance deserved. Manchester United are winless in their last four games in all competitions at Old Trafford; their longest such run since December 2015 (under Louis Van Gaal). 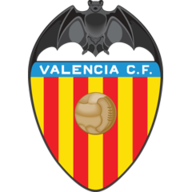 This was just Valencia's second draw in their last 18 group games in the Champions League (W8 D8), with the previous one coming back in November 2012 against Bayern Munich (1-1). Manchester United have faced Valencia on more occasions without losing than any other Champions League opponent (P7 W2 D5 L0). Three of Manchester United's last four games against Spanish opponents in the Champions League have finished 0-0 (previously against Real Sociedad in November 2013 and Sevilla in February 2018). "I am pleased with the effort, I am pleased with the commitment, I am pleased with the improvement. "I am not pleased, of course, with the result which is not a good result but it is not a bad result." United are back at Old Trafford on Saturday evening for a Premier League fixture against Newcastle.